People using the Njanji commuter train in Lusaka have called on the Zambia Railways management to increase the number of coaches to meet the high demand for its services. Speaking on behalf of the passengers, Mr. Solomon Mwale of Chipata compound, said that Zambia Railways Limited should invest more in coaches to decongest the train. Mr. Mwale said that the introduction of a commuter train had helped people reach their destinations on time, beating traffic jams. “The coming of the commuter train has made people move faster to their work places,” he said. He was, however, concerned with the passengers standing from one point to the other because of too many passengers using the train. “I don’t feel good when I see people standing all the way from Kabanana up to town,’’ he said. Mr. Mwale wondered why it had taken so long for ZR management to look into the issue of congestion on Njanji commuter train because a lot of people were utilising the facility. Charles Mulenga another concerned passenger said that Zambia Railways should satisfy its clients fully for them to be in business. 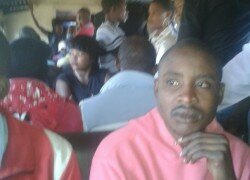 He said that a lot of people were using the train because it was faster and cheaper than the usual crowded mini buses. ZR management could not be immediately reached for a comment.